Free Workshop with Molonglo Catchment Group and Traditional Custodian, Wally Bell. Come and explore the natural heritage of our landscape and how to manage your block sustainably. Ever wondered about the many different footprints have walked across Royalla’s landscape and why? This free workshop provides a unique opportunity to learn from local Ngunawal custodian, Wally Bell, and local environmental experts including Niki Taws (Greening Australia), and Alice McGrath (Molongo Catchment Group). Topics include Aboriginal landscape use, managing soil, land capability, erosion and weed management, bringing birds back with planting of trees and understory. At the end of the day you will have an appreciation of how to leave your properties in a better condition than when you got them and how to improve the natural environment and assist biodiversity. The lunchbreak will also allow for a short AGM for members of Royalla Landcare, in the new community hall. Come hear about a new method for understanding and managing your property, just for Burra! Ever wondered why some tree plantings don’t thrive, or why erosion and salt can create havoc in some locations in Burra? 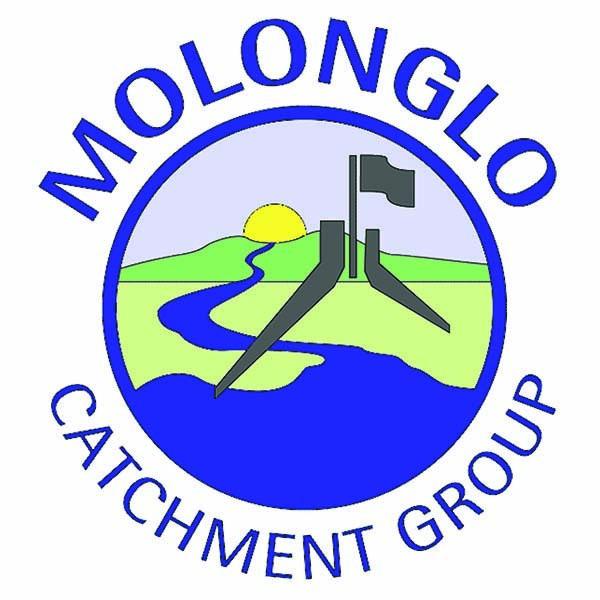 Molonglo Catchment Group is running this free field day for those who want to understand what this latest science tells us about our local landscape and how we can best manage and work with these limitations. The Hydrogeological Landscape (HGL) concept provides detailed maps of where salinity and erosion show up in the landscape and what the most effective management options are for your property location. This is a one off opportunity to learn about your landscape from the brains behind the HGL Framework, Allan Nicholson (Department of Primary Industries). There has been a lot of interest in this day, so secure your spot now! Come and give a hand watering the young National Tree Day plants at The Fair before the summer heat strikes. Most seedlings planted on National Tree Day in July are thriving and some of the Bulbine lilies planted by the Majura Mountain Scouts are even blooming! We need muscles to carry buckets with water and to carry out some mulching and installation of erosion control coir rolls too. You can make a difference even if you have only half an hour to spare. Wear and Bring: Long pants and sleeves, hat, enclosed shoes, sunscreen, drinking water and gloves if you have them; morning tea will be provided. Don’t miss out on the peacock spider season! These tiny dancers only display for a few months of the year. Learn how to search for peacock spiders at Jerrabomberra Wetlands and, if you’re lucky, potentially even find some! Join special guest Stuart who has discovered no less than 5 species of peacock spiders, as you walk through the wetlands searching for spiders. Suitable for all ages. More information here. Experience the stillness of Jerrabomberra Wetlands at night. The ranger will take you across the wetlands as it starts to come alive as you search for many bird species – including the infamous Latham’s Snipe, while micro-bats can often be seen darting in and out of the torch beams attracted by insects. The frog songs from around the water bodies can, at times, be deafening. The ranger can help you identify the various species of frog through their different calls. The Stirling Park woodland, which has benefited from over seven years of woody-weed removal by FOG and local residents, is known for its range of wildflower species including the endangered Button Wrinklewort Rutidosis leptorhynchoides. The walk is on easy tracks. The third National Trust walk is at Oaks Estate. The walk will commence at 9.30am, last for 1½ to 2 hours and be led by members of the National Trust or other expert leaders. Book via www.nationaltrust.org.au/act/heritagewalks-act/ or Facebook www.facebook.com/HeritageWalksACT. The Wild Pollinator Count gives you an opportunity to contribute to wild pollinator insect conservation in Australia. You can count wild pollinators in your local environment and help to build a database on wild pollinator activity. You can join in by watching any flowering plant for just ten minutes sometime in the count week. In response to the growing interest of many community members with the presence of wild deer in their region, Upper Murrumbidgee Landcare and associated Landcare groups have developed a survey to gauge landholder’s perceptions on a range of deer issues. The survey is open to all landholders in south-east NSW, boarding Victorian regions and the ACT. This survey provides an opportunity for landholders to express their view of wild deer, provide observations on deer species and abundance, document whether wild deer are causing an impact and convey any concerns they might have on the management of wild deer. The survey is available at https://www.surveymonkey.com/r/R3KNS6V and should take 10 minutes to complete. We would greatly appreciate your participation in our survey. If you have any queries or require further information please contact Georgeanna Story, Upper Murrumbidgee Landcare Coordinator, on 0429 7799 28 or at upper.murrumbidgee@gmail.com. The annual Waterwatch Catchment Health report cards (known as the CHIP) has just been released. It contains 2,270 water quality, water bug and riverbank health assessment surveys conducted over the past year by more than 200 Waterwatch volunteers across the ACT region. This year 94 report cards were produced of which five reaches scored an “excellent”, 45 recorded a “good” score, 42 scored a “fair” and 2 received a “poor”. While a slight improvement on last year, the results again show urban areas and adjacent rural streams as fairing the worst, while the waterways in upland reserves are doing the best. As part of the Australian Government’s $1 billion investment into the next phase of the National Landcare Programme, farmers, fishers and community groups will soon be ‘farming smarter’ thanks to $134 million for a landmark new program Smart Farms. Applications for $50 million worth of Smart Farms Small Grants opened on 24 October 2017. Those eligible can now apply for grants of $5,000 to $100,000 to assist them to protect and improve the condition of soil, vegetation and biodiversity and support agricultural systems to adapt to change. Fireweed is now at large across the ACT, as well as in much of eastern NSW. It is important that we control Fireweed in ACT, and also in NSW where possible. It is a Class 3 Noxious Weed (must be fully and continuously suppressed and destroyed) widely across SE NSW too. Make sure you know it when you see it! The website at http://weeds.dpi.nsw.gov.au/Weeds/Details/53333 has good photos and more details. Fireweed has daisy-like bright yellow flowers that usually have 13 petals (or 20 green bracts on unopened flowers). Plants can produce thousands of viable seeds, which are fluffy and wind-borne. To pull Fireweed out by hand, first enclose/cover the plant with a strong plastic bag to prevent mature seeds bursting out and flying away. Wear gloves to avoid skin irritation. Double-bag the weed and dispose of the bag with your regular rubbish (NOT in the recycled or green waste). Do NOT spray it with glyphosate. Please note the exact location and report the plant and its condition as soon as you can by email to fireweed@act.gov.au. Include a photo of the plant for confirmation, and report what you have done (pulled it out/left it there, etc). Copyright © 2017 Molonglo Catchment Group, All rights reserved.